Hip dysplasia is a congenital disease that, in its more severe form, can eventually cause lameness and painful arthritis of the joints. It is caused by a combination of genetic and environmental factors. It can be found in many animals and, rarely, humans, but is common in many dog breeds, particularly the larger breeds. In the normal anatomy of the hip joint, the thigh bone (femur) joins the hip in the hip joint, specifically the caput ossis femoris. The almost spherical end of the femur articulates with the hip bone acetabulum, a partly cartilaginous mold into which the caput neatly fits. It is important that the weight of the body is carried on the bony part of the acetabulum, not on the cartilage part, because otherwise the caput can glide out of the acetabulum, which is very painful. Such a condition also may lead to maladaptation of the respective bones and poor articulation of the joint. 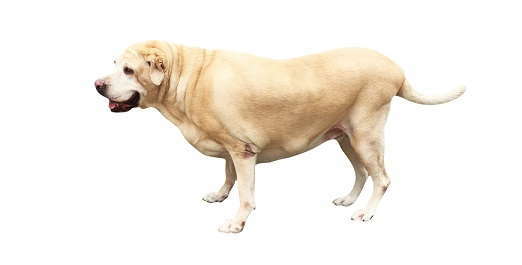 In dogs, the problem almost always appears by the time the dog is 18 months old. The defect can be anywhere from mild to severely crippling. It can cause severe osteoarthritis eventually.